In 1942, with the strong support of leading aviation executives, the Harvard Business School established the Aviation Research Program to develop vital information and guidance that would benefit the industry’s rapidly accelerating war effort. An HBS advisory committee of industry and government representatives was formed to direct this work under the chairmanship of William A. M. Burden, who had been named Assistant Secretary of Commerce for Air in 1943. Harvard Library holds the Burden papers and Harvard University Archives holds this Karsh print of Mr. 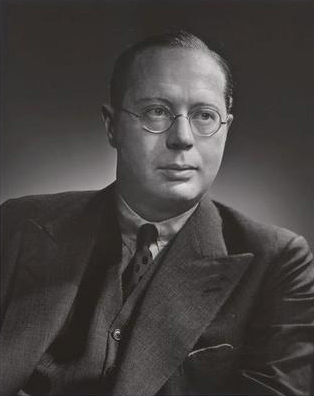 Burden, who was photographed in 1946. 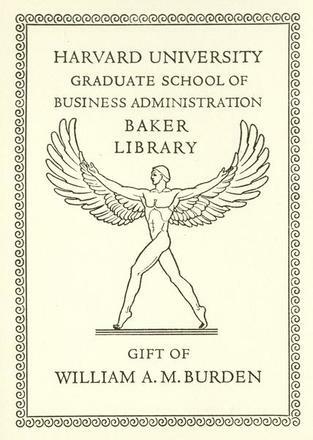 See the Harvard Business School’s Baker Library Archive for more.